Middle age in dogs is harder to put a number on compared to middle age in humans. That’s because dog breeds age at such different rates. A good rule of thumb is to consider that middle age begins when a dog reaches the halfway point of its life expectancy. So for most small breeds that could be around age 6 or 8 years, whereas some giant breeds it may be as early as 3 or 4 years. But whatever the age in years, a middle aged dog, like a middle aged person, has an increased list of aches and pains, and although they still may enjoy some vigorous activities, they’re more likely to feel the aftermath for days to come. For most dogs, middle age is still a time of relatively good health. But it’s also a time when the first hints of old age can creep in, and a time when we can prevent problems from getting out of hand. Obesity is one of the most common problems seen in adult dogs. Changes in metabolism along with less exercise cause gradual weight gain. The obesity in turn decreases the desire to exercise, and adds stress to already damaged joints. Dogs with preexisting orthopedic conditions are especially likely to start showing some discomfort by middle age. Arthritis can set in on joints with old injuries, or just from overuse and constant stress and inflammation in athletic dogs. Problems such as hip dysplasia, elbow dysplasia, patellar luxation, intervertebral disk disease tend to gradually worsen with age, becoming more arthritic, stiff and painful. Soft tissue problems, such as anterior cruciate ligament rupture, are more likely to occur. Muscle mass decreases, affecting strength and stability, and further increasing the risk of ligament tears or other soft tissue injuries. Autoimmune disease that may affect the blood, skin, joints, thyroid gland, adrenal gland, muscles or multiple organs are most often seen in middle-aged adults. Some of these can be life-threatening. Others must be managed with lifelong treatment. Allergies are also seen most often in young and middle-aged adults. 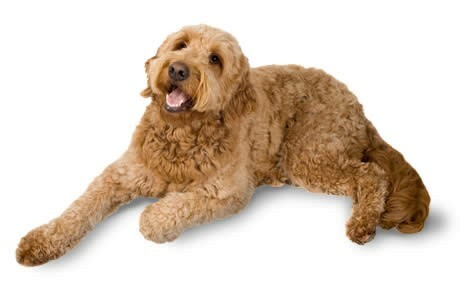 Left untreated, they can make dogs miserable and lead to infection and further inflammation. Inflammatory bowel disease often first appears in middle age. Some heart disease, kidney disease, liver disease can emerge in middle age. The risk of pancreatitis increases. Seizures can make their first appearance at this time. Several eye diseases, such as progressive retinal atrophy, lens luxation and glaucoma, can emerge in middle age. Glaucoma can be especially painful, and may require removal of the eye for relief. Some cancers, especially lymphoma, hemangiosarcoma, osteosarcoma and mast cell tumors, can appear in middle age. Osteosarcoma is one of the most painful cancers; amputation of the affected limb may be need to relieve pain. Mast cell tumors require repeated surgeries to remove tumors. Even with brushing, some dogs can start having dental issues in middle age. Without brushing, all dogs will likely have some degree of periodontal diseases that will require cleaning under anesthesia. Left untouched, the gums will recess, pockets will form, roots will dissolve, teeth will loosen, and abscesses can form. The dog’s mouth will hurt—but you may not realize how much he hurts until he transforms into a happier younger acting dog after veterinary dental care. 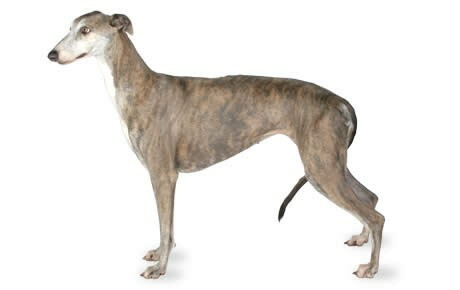 Gastric dilatation volvulus, or bloat, often first appears in middle-aged dogs, especially large dogs with deep chests. It must be treated as an extreme “minutes-count” emergency to save the dog’s life. Different breeds have different concerns. Be on the lookout for intervertebral disk disease in Dachshunds, Corgis, and other long-backed dwarf breeds; for bloat in Bernese Mountain Dogs, Bloodhounds, Boxers, Great Danes, German Shepherds, Golden Retrievers, Greyhounds, Irish Setters, Labrador Retrievers, Newfoundlands, Rottweilers, Saint Bernards, Weimaraners and other large deep-chested breeds; for osteosarcoma in Rottweilers, Greyhounds, Scottish Deerhounds and other long-legged or giant dogs; patellar luxation in toy dogs and some giants; hip dysplasia in heavy-bodied dogs; lens luxation and glaucoma is some terriers; allergies in West Highland White Terriers, German Shepherds and a host of other breeds; heart problems in Cavalier King Charles Spaniels, Boxers and Doberman Pinschers; degenerative myeolpathy in German Shepherds; wobblers (cervical vertebral instability) in Doberman Pinschers and Great Danes; liver problems in Bedlington Terriers—in other words, know your breed and what problems are known to emerge during these years. A yearly check-up is a good way to set your mind at ease about many of the conditions to which adult dogs are susceptible. Blood panels can detect early stages of many internal diseases such as kidney, liver or thyroid disorders. Medications or special diets may be needed to increase the dog’s comfort, health and life-expectancy. Antioxidants are always a good addition to the diet, and can be especially beneficial in cases of kidney disease, heart disease, skin problems, allergies—actually almost any ailment. Prolonged or recurring lameness should be checked by your veterinarian. Radiographs can detect many arthritic changes as well as broken bones or other problems. As with people, surgery can correct many problems, but it also usually requires physical therapy. Such therapy can include passive range of motion, strength, and low-impact swimming and walking (even using underwater treadmills). Obese dogs should also have a veterinary check to make sure the weight gain or enlarged abdomen isn’t due to other problems such as hypothyroidism, Cushing’s disease or ascites from heart failure. If it’s just from ingesting more calories than expending, you can feed your dog a lower calorie food, substitute vegetables for high-calorie snacks, and begin a gradual low-impact exercise regime. One excellent exercise is walking to another room and being separated from you while you eat meals—because by middle age most dogs know their puppy dog eyes can get your dessert from your dish! Weights and measures really help when dieting a dog; weigh your dog every week and measure everything you feed him. Although cancer is usually thought of as an old-age disease, the truth is many cancers are seen as often in middle age. Some are treatable. Lymphoma can be treated with chemotherapy with variable results. Chemotherapy does not seem to make dogs feel as sick as it does humans, but dogs may just do a better job of hiding it. It is true they don’t seem to be as outwardly nauseous as humans report, although some nausea may be seen. Signs of nausea include vomiting, drooling, repeated licking of the lips and swallowing, lack of appetite and lethargy. Osteosarcoma causes extreme pain, to the point the owner must often choose between amputation and euthanasia. Nobody knows if dogs feel phantom pain after amputation, but chances are they do. Only how would they tell us? Actually, dogs do tell us they’re in pain in variety of ways, and you should always be aware of changes in appetite, reluctance to get up, shivering, panting or any of the other signs of pain. Through the years you’ve gotten to know what’s normal, and what’s not, when it comes to your dog’s behavior. A dog that’s normally housetrained but starts having “accidents” inside is telling you something. It could be that he has kidney disease, diabetes, a urinary tract infection—or even cognitive changes. Only a veterinary examination can tell you which. A dog that usually allows grooming but suddenly shirks away when you try to groom his ear may have an ear infection or even a tooth infection. A dog that normally loves crunchy food but suddenly quits eating could have kidney disease, infected teeth, or many many other possible problems. A usually friendly dog that snaps could simply not feel well,could have anxiety issues, or may be achy with arthritis or other inflammation. Don’t punish your dog for feeling bad; find the cause and do what you can to restore his good spirits! Middle age should be the best time with your dog, the time when you’ve gotten to know each other and trust each other. Since your dog trusts you to care for him, make sure you make these the best years of his life.